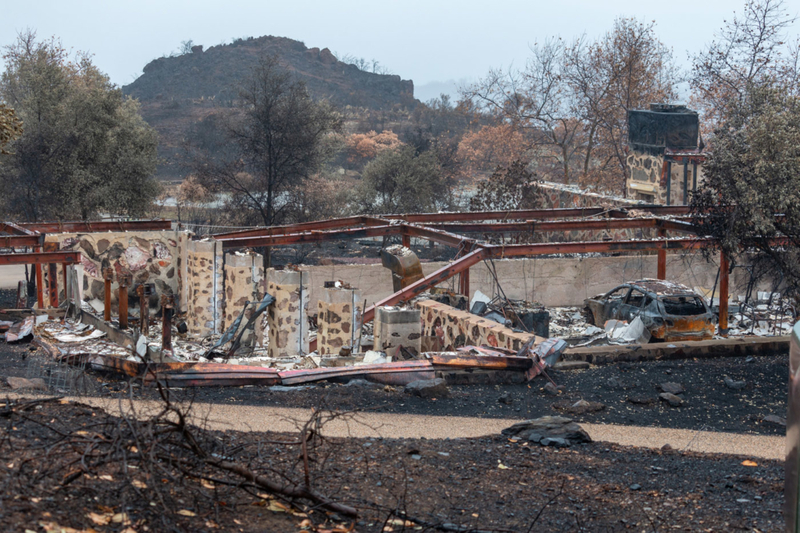 The Conservancy has received further confirmation of the devastating effect of the Woolsey Fire on the Arch Oboler Complex in the mountains above Malibu, California. Conservancy member Stan Ecklund has shared photos taken from the road after the area became accessible. 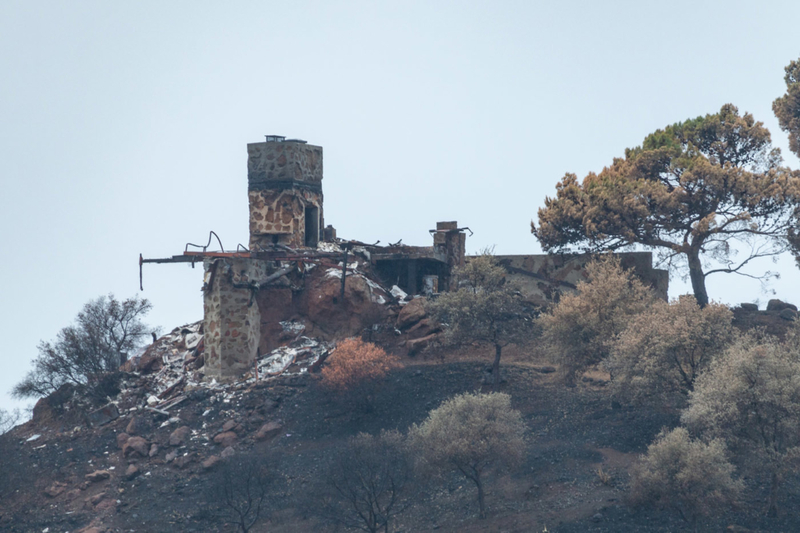 The photos show that, while much of the desert rubble stone masonry remains, the wood and metal superstructures of the complex’s buildings have been decimated. 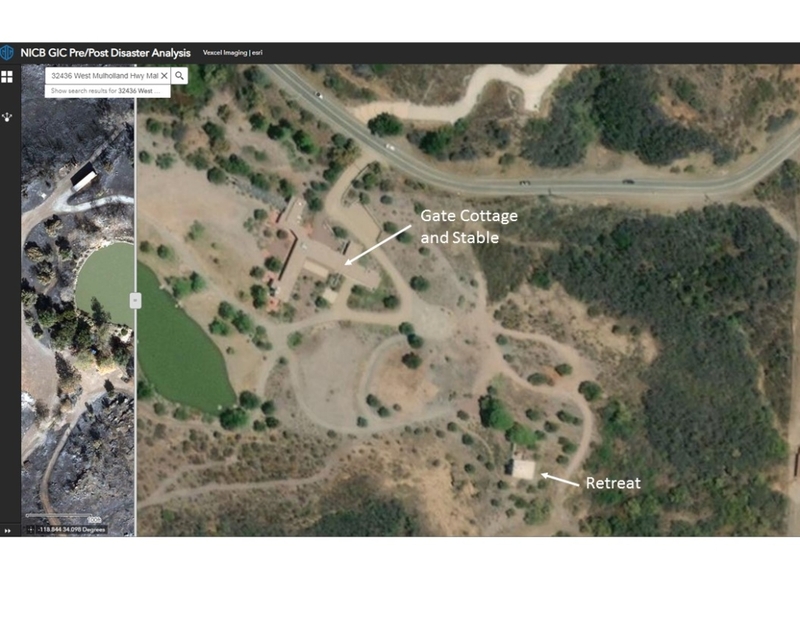 The ravaged area is clearly visible in aerial images. 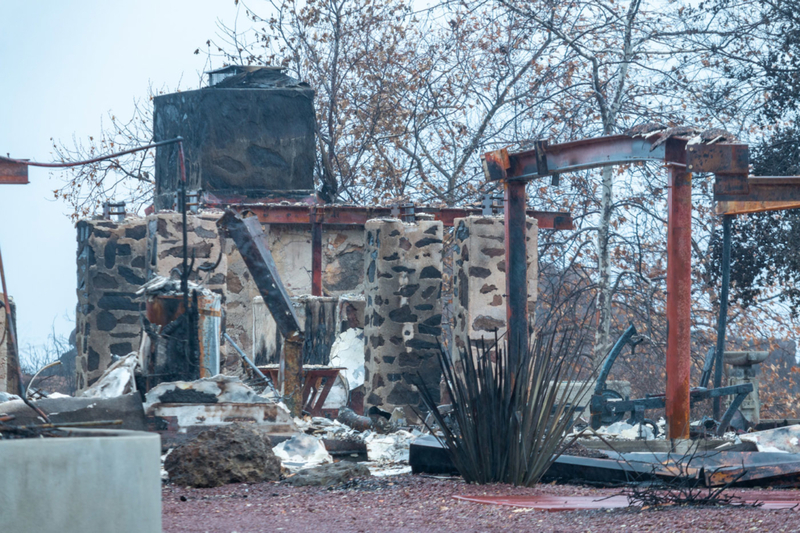 The Oboler Complex is among more than 1,600 structures affected by the fire, which covered nearly 100,000 acres. Tragically, three people died as a result of the fire. The structures of the Oboler Complex were to be part of a larger estate designed by Wright for entertainer Arch Oboler and his wife Eleanor. Wright’s original design for the Obolers’ house, known as Eaglefeather, dramatically cantilevered from a ridge on the estate. Changes in Oboler’s financial situation caused the design for the main house to be abandoned. Instead, the building containing the Gate House and Stable (1940) was expanded to accommodate a home for the Obolers. In 1941 a second Wright-designed building was constructed on the property, a retreat for Eleanor Oboler. 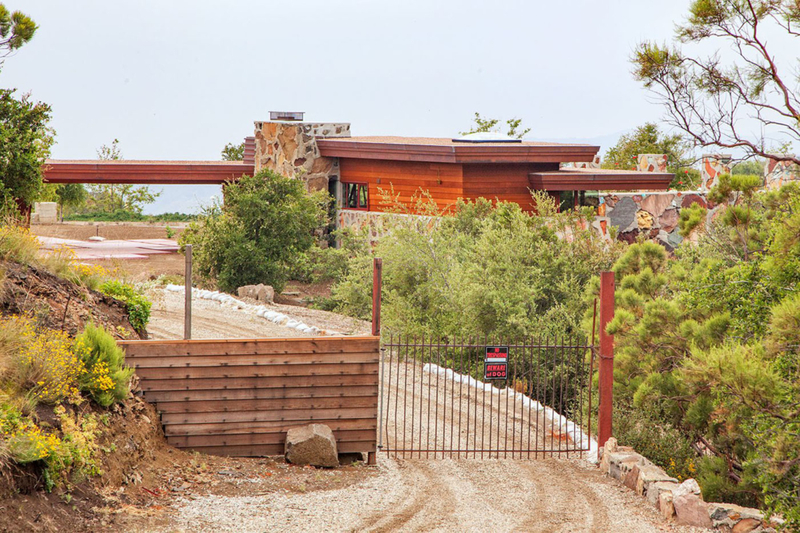 This delightful structure distilled the original concept of Eaglefeather, cantilevering from a desert rubble stone base and providing a panoramic view in three directions. 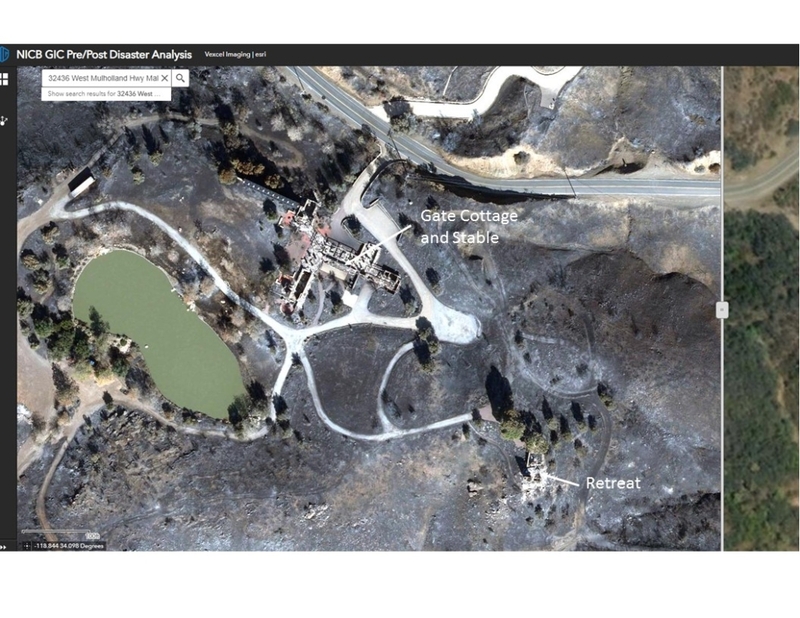 The Wright-designed Arch Oboler Complex (1940) in the mountains above Malibu, California, burned in the Woolsey Fire. This photo taken Dec. 5, 2018, shows the devastation.